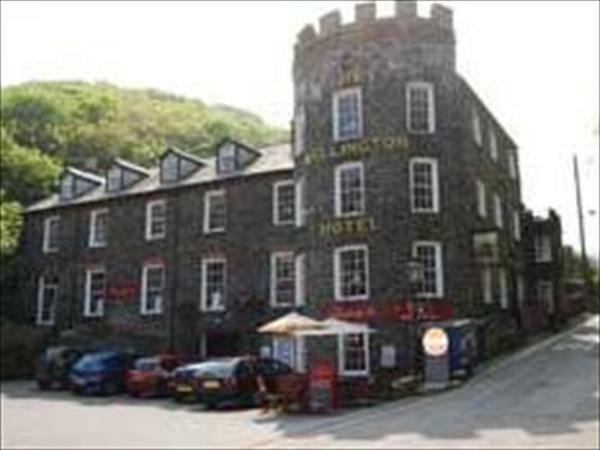 The Wellington Hotel Boscastle, Cornwall is a 16th-century coaching inn, this hotel in Boscastle has been totally restored to its former glory following the disastrous flood in Boscastle a few years ago The Wellington Hotel is the highest AA rated hotel in Boscastle. The Long Bar is popular with visitors and locals alike and features a delightful galleried area. The stylish hotel bedrooms come in varying sizes, including the spacious tower hotel rooms. All the hotel's bedrooms are comfortable and suitably equipped. There is a bar menu and in the elegant restaurant a daily-changing carte. Cheap off season holiday deals available at this hotel in Boscastle.